FatBoyZ Racing - Mowin' Down the Competition! Crazy. Why clubs don't follow the national rules baffles me. We were racing as a club long before the was anything called ARMA. We have had our pro-mod rules since 2001. No we don't allow kart seats, hoosier tires or centrifugal clutches either. If you want to race karts there are places to do that. We race lawn mowers. We do have a couple ARMA classes as well (SP and Mod-XR). Guess what? they are the smallest classes we have. You (ARMA and USLMRA) just a few years ago started to run what we've always had. We were made fun of, called outlaws until someone from the great white north finally opened your eyes. So we are crazy? Said my piece. 2012 & 2014 Sportsman Champion (Builder/Owner), 2013 2nd. 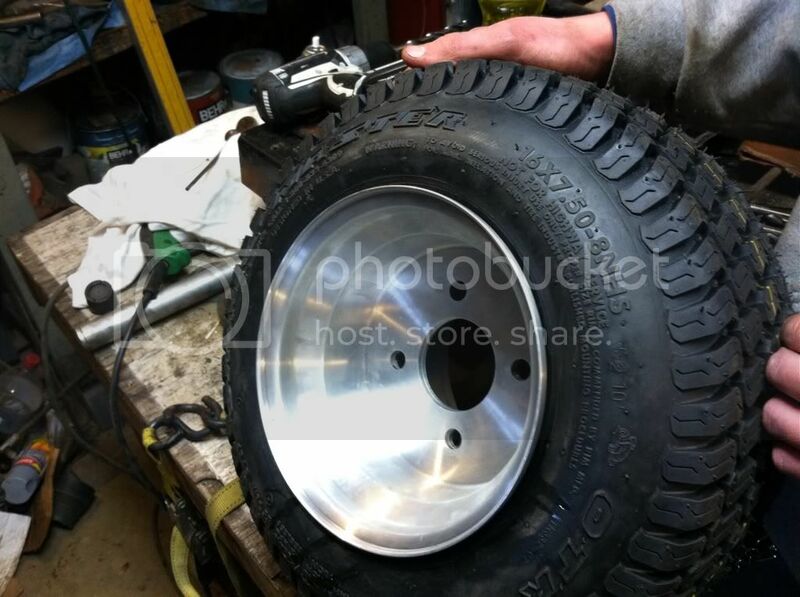 Dustin you need a minimum of an 8" diameter rim, any width for rear and yes turf tires. Most run 18x9.50 - 8 on 8x9 rims. I started running 18x10.5 - 10's this year on 10x10 rims. Much stiffer and less roll and bounce. I still have a new set of the 16x7.50 Carlisle turf pros sitting on the shelf. I couldn't never get them to hook up. My used set are on the junior mower. Sounds like this is the guy to listen to. We were racing as a club long before the was anything called ARMA. We have had our pro-mod rules since 2001. No we don't allow kart seats, hoosier tires or centrifugal clutches either. If you want to race karts there are places to do that. We race lawn mowers. We do have a couple ARMA classes as well (SP and Mod-XR). Guess what? they are the smallest classes we have. You (ARMA and USLMRA) just a few years ago started to run we we always had. We were made fun of, called outlaws until someone from the great white north finally opened your eyes. So we are crazy? Said my piece. I too had several mowers that wernt USLMRA mowers. Those classes are gone now. They were unsafe and slow. So we switched. I hated the Supermod class when they came on the scene. But that is the way racing is going so I built one. Are they mowers? No. But with the high horsepower engines and the increased speed they are safer. Sorry if I offended. That wasn't my intention. But when the original poster said it was a Supermod I was confused to the wheel limitation. I almost deleted it after I posted it. It just leaves a sour taste in my mouth after being branded an "outlaw" for so many years then have everyone (almost) fawn over them. We took our "outlaw" Pro-Mod to the 2010 All American and we started dead last in the top class and finished 3rd. with a mildly built Intek. First and second started where they finished. No centrifugal clutch, turf tires, no kart seat, pump gas, and (nearly)stock Nikki Carb. I had less money in my whole machine than most had in their tires and wheels. And yes big ole 18" turf tires. They work for us just fine. We started 6th and ended up 4th in the supermod class using those turf pros. Would not hook up. Switched to the Firestones for the last class. Seat time and set up!!!!! 2 things you can't buy that you need to be fast!!! More4les is 100% right about not being able to hook up with lawn mower tires. On my fxs all i do is spin them and then spin out on straight aways. 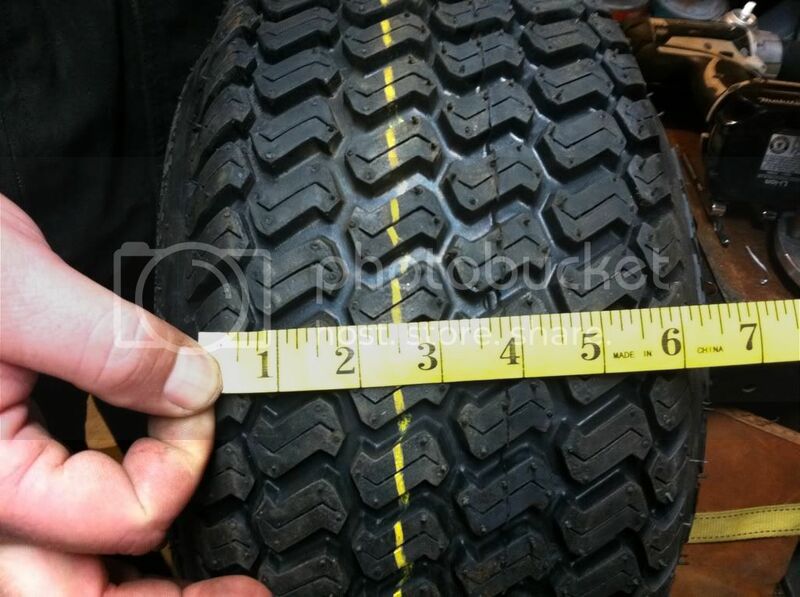 So thats why im switching to hoosiers cause i cant get no traction what so ever.